Easy to Install or Remove your echo dot in station, WON'T effect the sound track from Echo Dot speaker.Easy to Plug the Power Micro USB and Audio output cable. With silicone pad in station bottom helps to place you echo dot without slip and shock. What In the Box: one Statue Crafted Guard station only, Amazon Echo Dot speaker not included. 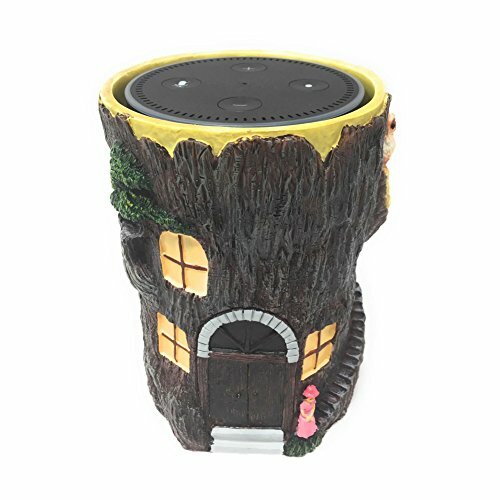 Please Note: this set of holder mainly use for decoration for your echo dot and your home, please don't use it as a protective case for echo dot.Anything we can help with, pleass contact us freely, we will try our best to meet your satisfaction. If you have any questions about this product by Cumeou, contact us by completing and submitting the form below. If you are looking for a specif part number, please include it with your message.